No need to buy a complete set of AN wrenches. 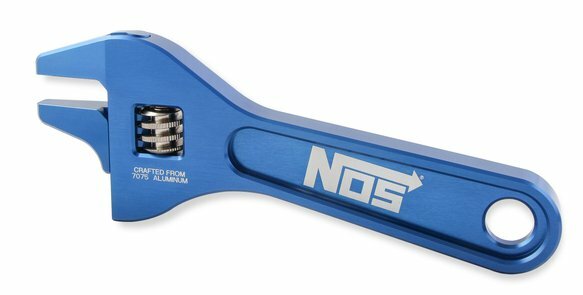 NOS has a new, adjustable wrench specifically designed for AN adapters and hose ends. It is constructed from aerospace grade 7075 aluminum for exceptional strength and durability. 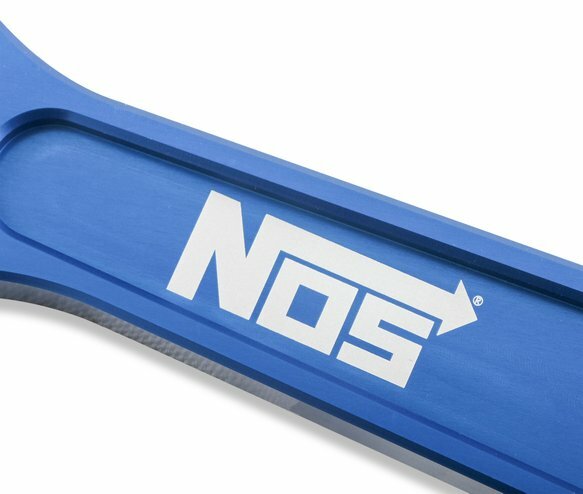 Anodized in the recognizable, NOS "Electric Blue" color, it will be easy to find in the tool box. 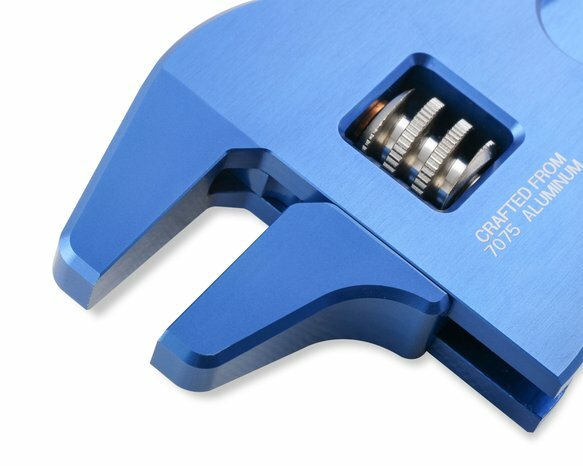 The handle has chamfered edges for a comfortable fit in your hand, along with a nickel plated steel thumb-wheel for a long life of precision adjustments. Quick size adjustment make it ideal for use in the pit area, staging lanes, or back at the shop. Fits AN sizes up to -12.